Well done on taking the most difficult first step in accessing counselling support. Sometimes we feel totally overwhelmed by the challenges in life and seeking help can be very difficult. I firmly believe that with a commitment to the counselling process, the resolution of your problems is most achievable. I am an experienced person centred counsellor & supervisor and have worked as a private practioner since 2003. I have also worked for organisations in education, health( Macmillan) & the voluntary sector. I can offer a warm and comfortable environment where we can gently explore difficult issues and together find a way of moving forward with whatever problems are holding you back. I have experienced counselling as both practitioner and client and wholeheartedly believe in its power to help people grow and find a way forward. I am commited to supporting you with your client work, your development as a counsellor and to keeping you and your client safe and well, within the therapeutic alliance. I strive for a relationship of openness, congruence and reflection without judgement. I want you to feel confident to be yourself and explore any aspects or concerns, in order for you to grow and increase self awareness. As in client work, I strive to build a relationship of trust and aim to meet your supervision needs. 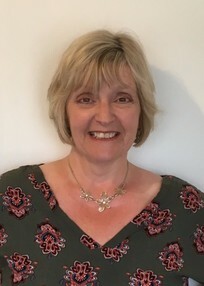 I provide Person Centred Supervision in a quiet residential setting, have more than 15 years experience as a BACP Accredited Therapist and hold an Accredited Qualification in Supervision. £40 per 1.5 hours for self funded Trainees Counsellors.